ORing ORIO-G30218 series enable all IoT applications to leverage the benefits of high bandwidth data collection and communication to achieve cloud & edge computing. 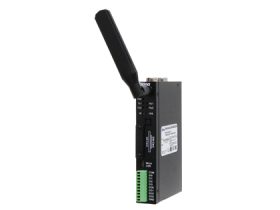 Support 2 RF modes, can do the LPWAN redundant or switch to RF gateway mode. The ORIO-G30218 uses multiple mainstream protocols to help device and data connect to cloud more easily. you can choose among several wireless types and use it as a MQTT/Modbus gateway. Configurations can be made via the USB virtual COM port. Firmware update via USB is also supported. ORing ORIO-G30218 series support 2 Serial Ports (RS232/RS422/RS485), 4 sets of Digital Inputs (Dis) & Digital Outputs (DOs) …..